Screenshots, videos, sound recording etc. 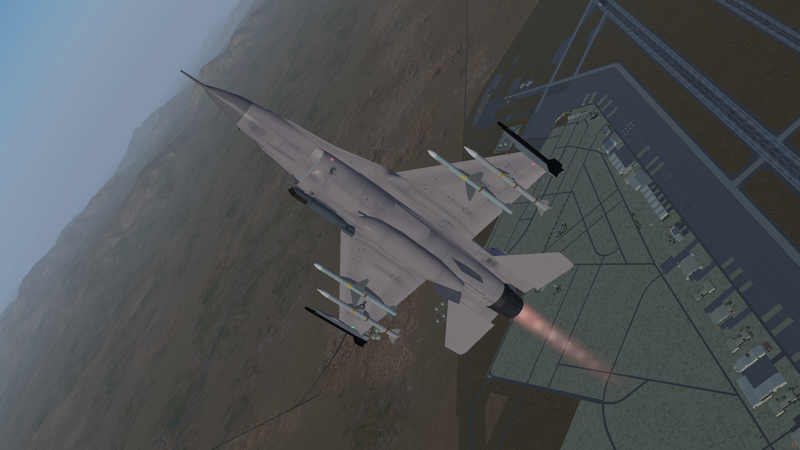 taken in/with FlightGear. 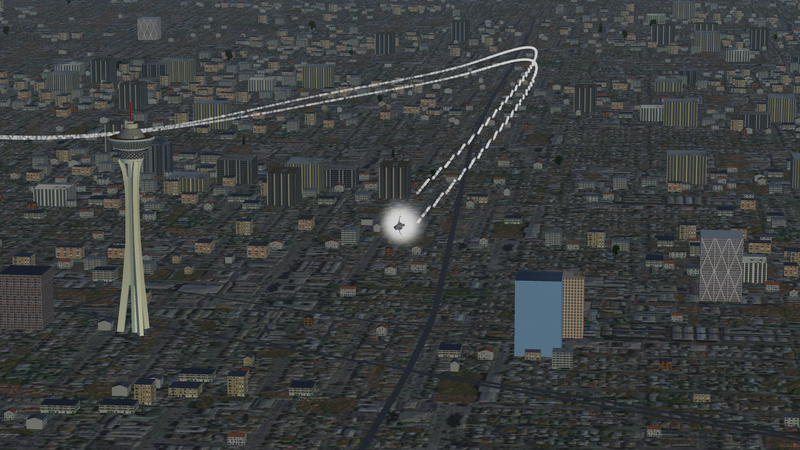 Today, I flew traffic patterns in a 707 using a phone's accelerometers for a yoke (DroidJoy for Android). Surprisingly not too hard to get to grips with! 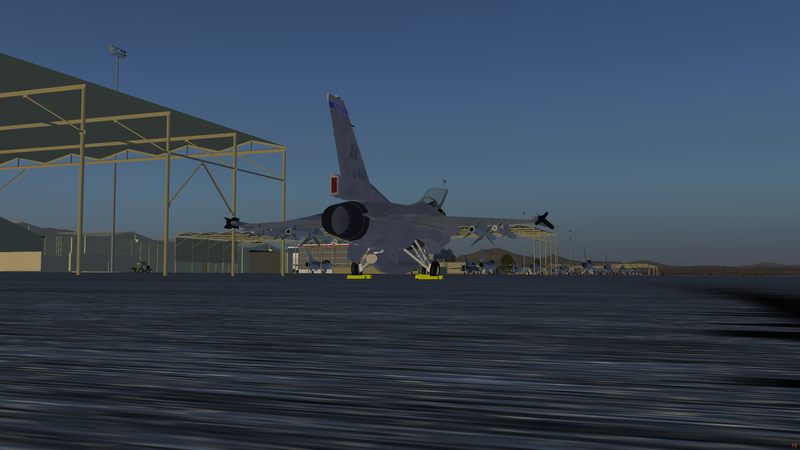 I must try the FlightGear specific one someone released recently some time. Last edited by V12 on Sun Dec 23, 2018 1:37 pm, edited 1 time in total. Fly high, fly fast - fly Concorde ! This video is deleted because of the crappy landing of it's owner. 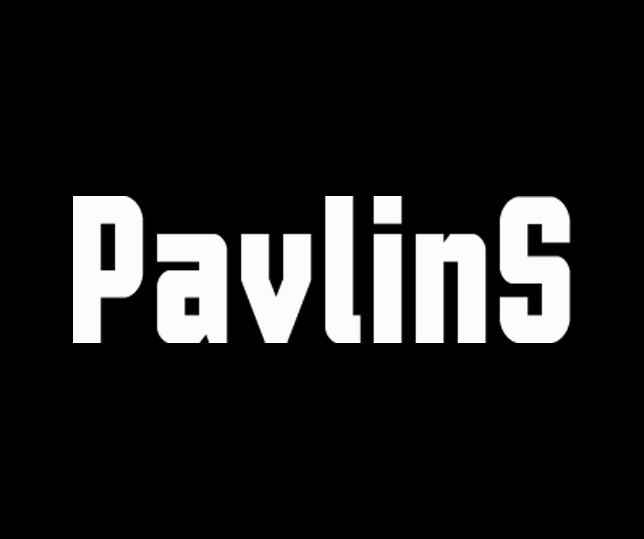 Last edited by pavlin on Tue Jan 01, 2019 1:22 pm, edited 1 time in total. 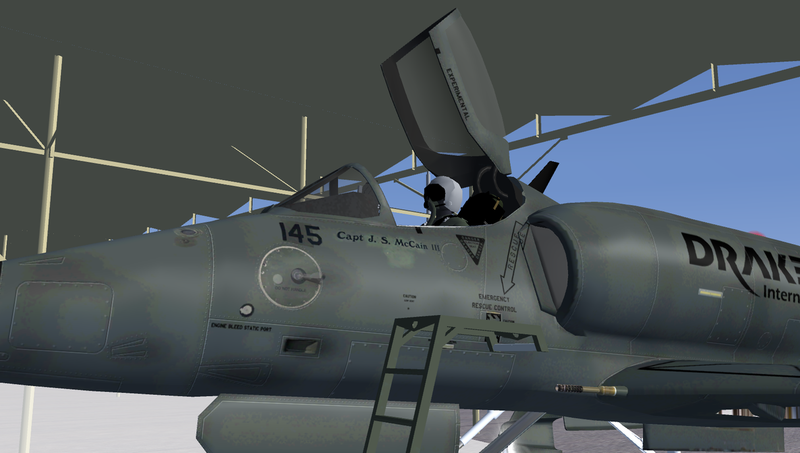 During severe issues with navigation on FlightGear I will not create any type of content until I buy myself new pc. That might be in years from now. Flight log of part 1. There is only one problem - You did not watched airspeed and stalled some meters above the runway. Now, I'm flying with PMDG737 on FSX, That sim is very strict at touchdown. Vertical speed must be pretty low, my first 5 landings ended with crash. Flare, retard, speed and touchown must be perfectly timed. After some training I can land at Paro with PMDG737 without significant troubles. @pavlin I actually enjoyed seeing the route planning and push back in action. I've never used either nor seen their operation, educational. Thx, @wlbragg. Usually is not that big, but the taxiway here was far. Thank you again and Happy New Year! I slowed down so it can start descend on RWY, if I did not it was going to blow me over and I was going to go around. Sometimes 777 in FG has the habit to not descend when reaches 100. The case needed me to be the bad guy so I can land. I am not still experienced in crosswind manual landings, I practice them not often enough and I still learn how to fly in complete live data weather. Since I got my new PC which I use for streaming and flying FG now I started using live data weather. I run into a troubles in the summer, so actively I started learning to land manually on Live data weather was September. Forgive me for the bad landing, but if I did not slowed down it was going to go back up. It was not forgive, but only advice. BTW, 777 has strange FDM lookslike has almost zero inertia momentum around Y axis. This is reason, why I don't fly with this beautifull plane. 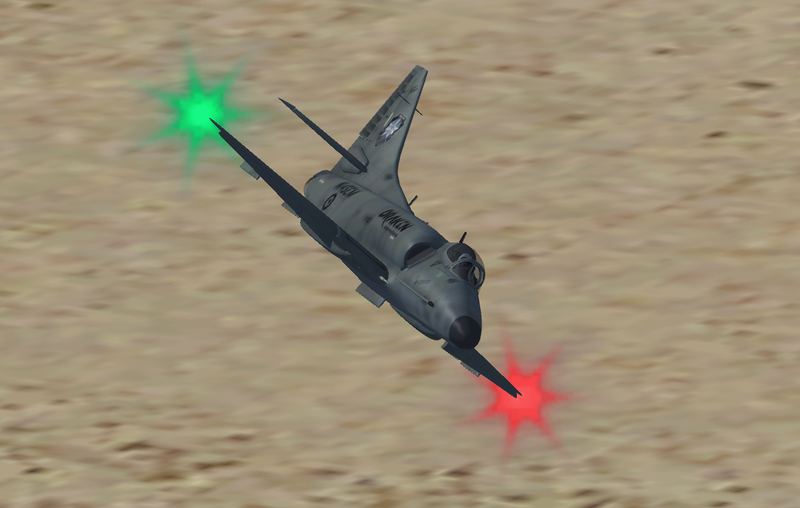 If You want to learn land full manualy quickly, download B707, it is probably best flying liner in the FG, You will fight hard with every her kilograms of the weight. V12 I am not an experienced pilot. Please, do not advice me. I don't like anyone to advice me. I prefer self - learning. I am noob in VFR landings still, so I am still a baby in this staff. Give me time, do not criticize my experience. I learn slowly. That's my way of learning - slowly, but well, so I can make it in high quality. 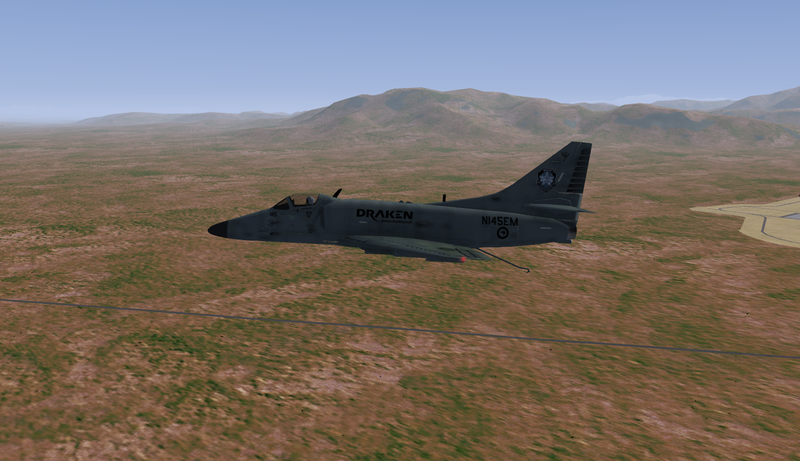 In the A-4K, flying at Nellis with the new Draken John McCain livery created by N-SCOT. Takeoff 03L, right hand turn towards the hills, some low and fast then some aerobatics. Did some attempts at hooking the arrestor wire on 03R and finished off with a full stop landing without hook to taxi up next to some F-15's. 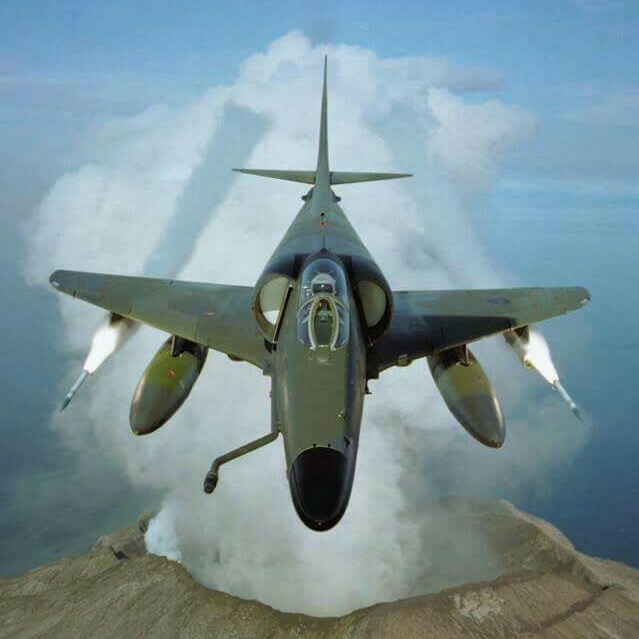 Breakin' the sound barrier every day! 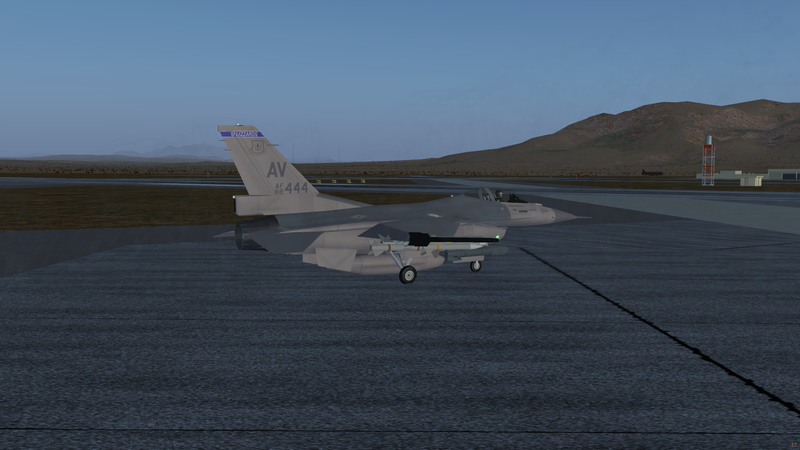 Scenery designer, basic livery maker, aircraft developer (current project: F-16). Using Thrustmaster FCS Flight Pack. Follow me also on Instagram & Twitter @j_maverick16, Google+ and YouTube.